These plants are about 8 weeks grown from seed. 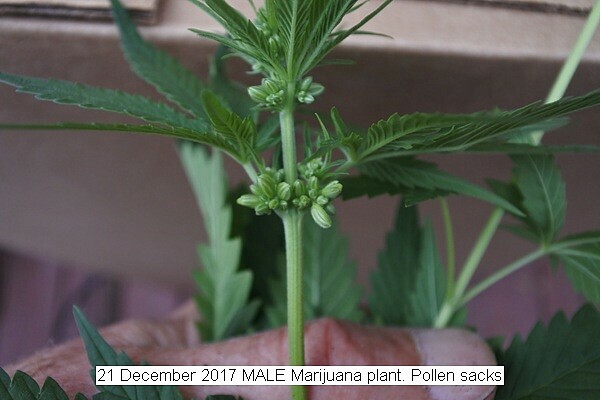 The female plant produces the active material desired and they should not be pollinated for maximum production. This means the male plants must be removed from the vicinity of the female to prevent fertilization. To identify the sexes the females has clusters of white hairs and the males has pollen sacks. These become obvious at about 8 weeks from seed. The males are then removed from the vicinity of the females. 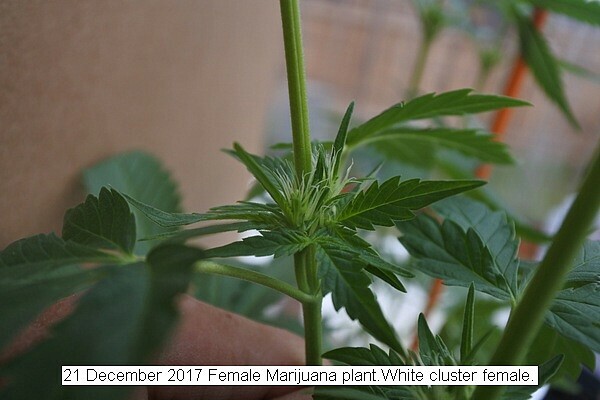 This entry was posted in Uncategorized and tagged 21 December 2017 Female Marijuana plant, Female Marijuana plant. Bookmark the permalink.